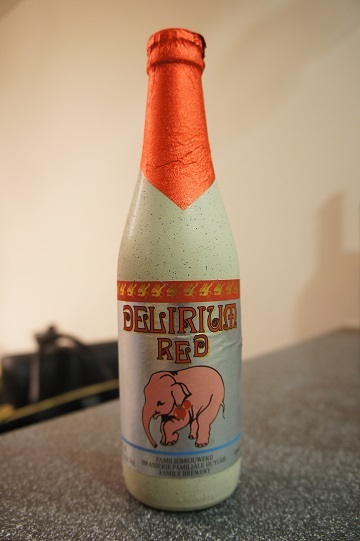 Brewer Description: (from bottle) Limited Edition specially brewed for the 25th Anniversary of Delirium. Intro: A 330ml bottle with a best before end date of May 2018. Poured into a Holy Mountain tulip glass. Appearance: A clear dark amber copper colour with a big three finger off white head that had excellent retention and left lots of thick fluffy lacing. Aroma: Grapefruit, pine and red apple skin with hints of caramel. Taste: Vinous grape, apple, pear and grapefruit. Finish has hints of caramel and spices. 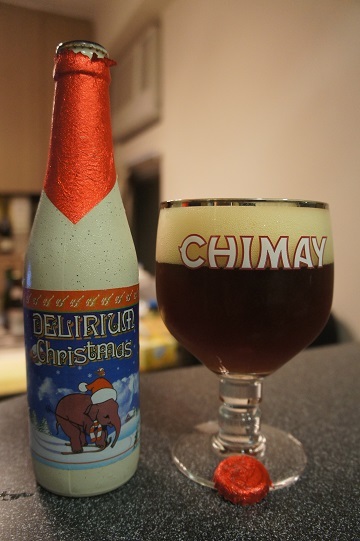 Overall: This looks great and had good mouthfeel, but for me, taste and aroma was only ok. 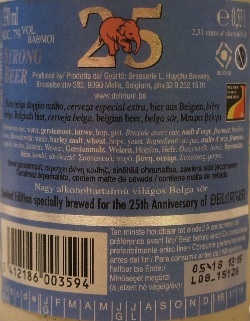 Brewer Description: (from website) Initially, a very good mouthfeel of alcohol and softness. 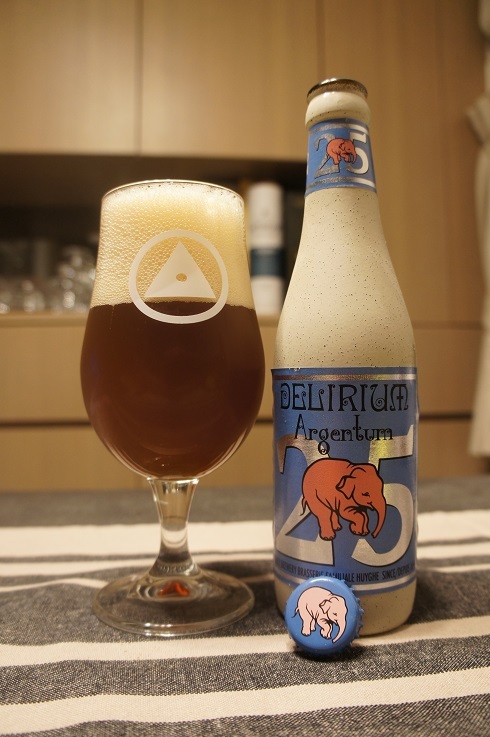 This is followed by an increasing bitterness, partially from the hop, but also from the roasted malt and chocolate malt. Towards the end a nice balance between bitterness, sour and sweet. Intro: A 330ml bottle with a best before end date of April 2016 poured into a Chimay goblet glass. Appearance: It poured a cloudy dark brown colour with a one finger tanned head that dissipated fairly quickly to a nice thin fluffy layer leaving some nice lacing. 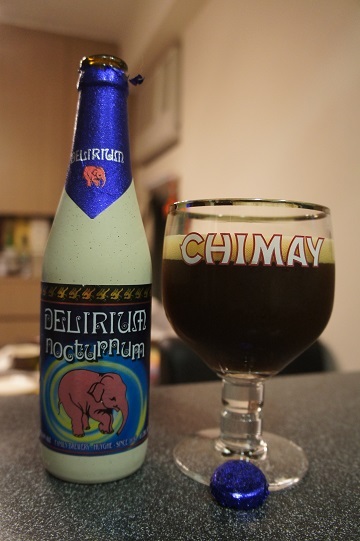 Aroma: Strong dark fruits of raisin, plum, prunes, grape, dates and a hint of caramel. 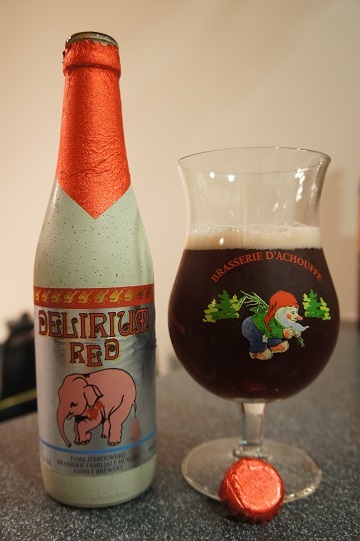 Taste: Much like the aroma, there is strong sweet plum, raisin and prunes at the start. Sweet candied sugar and caramel midway. Before a light bitter finish with the alcohol coming through. Mouthfeel: Medium bodied and high carbonation. Overall: This was nice and fruity but could be even better if the alcohol was hidden more. 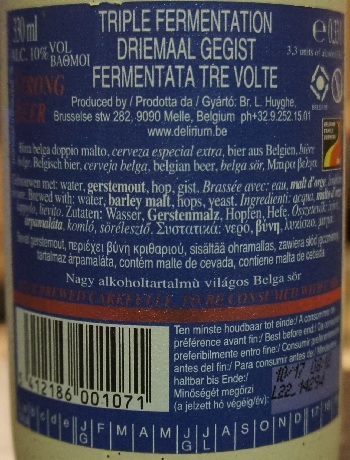 Brewer Description: (from website) A strong presence of alcohol, very spicy, slightly bitter. The aftertaste is sweet, spicy and slightly bitter. Intro: A 330ml bottle with a best before end date of October 2017 poured into a Chimay goblet glass. Appearance: It poured a dark amber colour with a two finger fluffy beige head that dissipated slowly and settled to a very nice thin fluffy layer with some nice lacing. Aroma: Sweet plum, grape, raisin and candied sugar with hints of banana and clove as well as cherries. Taste: Cherries, raspberries, raisin, plum and prunes. As it warms, the alcohol presence gets stronger and more noticeable but never overpowering. In addition, caramel and toffee appears as it warms. Mouthfeel: Dry, medium bodied with mid to high carbonation. Overall: Very enjoyable although I do prefer Nocturnum a bit more. 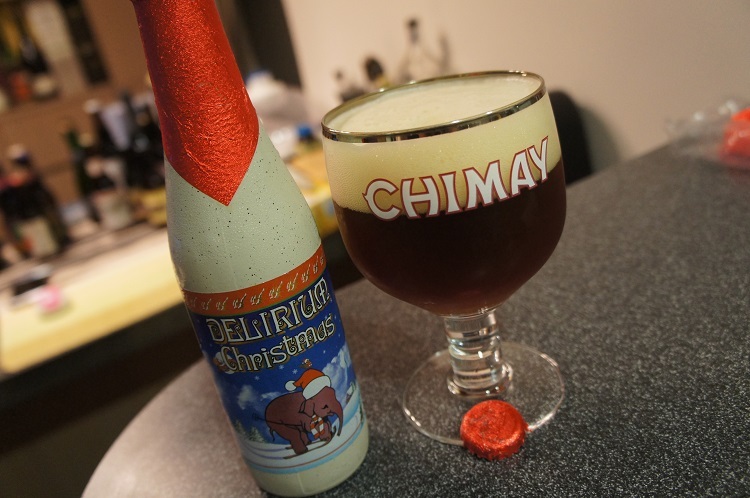 I also do not know what makes this a Christmas beer as I don’t get much of the spices usually associated with Christmas. Let me preface this by saying that I like everything about cough syrup. I like the smell, I love the taste. 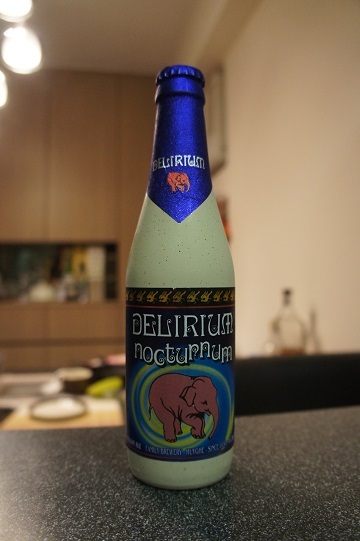 Now having said that, knowing the Delirium brand, I had high hopes for this beer. This 330ml bottle has a best before date of the end of November 2016. 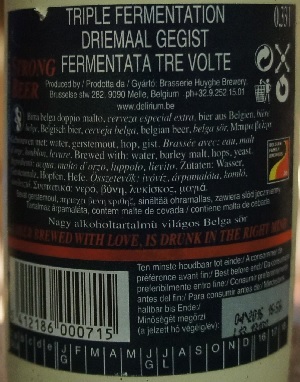 Brewer Description: (from website) Sweet and fruity, with a nice balance between sweet and sour. 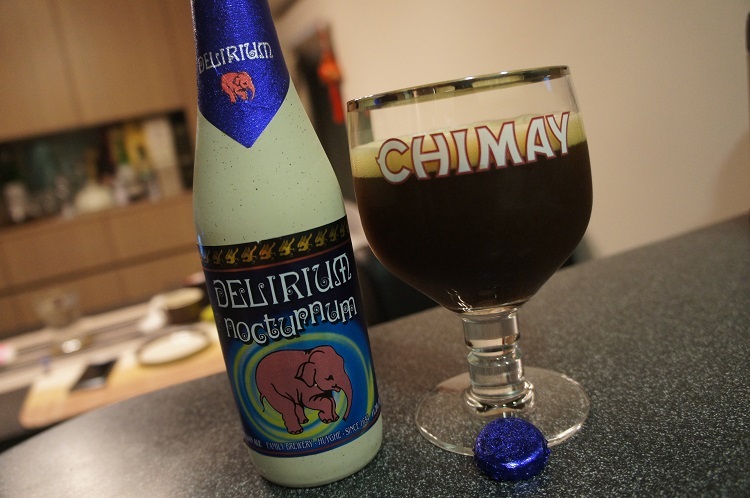 An excellent dessert beer. Appearance: Poured into a tulip glass a deep cloudy ruby red with a less than one finger light pink head that dissipates quickly leaving some streaky lacing. Aroma: Sweet bubblegum cherry, candy cane, almond. Taste: Sweet sweet cherry, then sour cherry, then a lasting bitter cherry. I’m fine with medicinal tastes and cherry, but this was just odd… maybe a bit artificial, and the balance was not really there. But there’s absolutely no hint of the 8% alcohol. Mouthfeel: Light with low carbonation. Overall: Like I said, I like the medicinal/cough syrup tastes and the colour and the smell of the beer after the pour were great. However the taste was just a mix bag of all over the place. 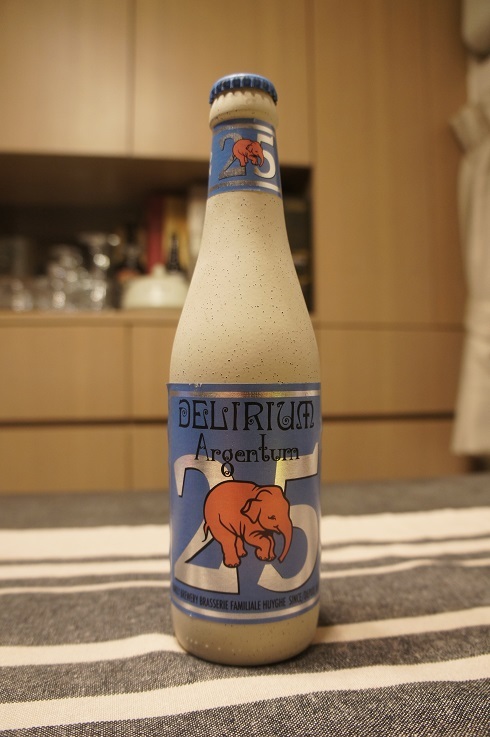 I think that there are better beers out there for this style. 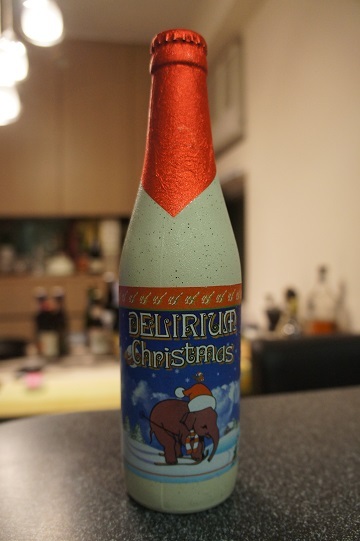 If it was in front of me, I would drink it, but I’m not sure that I would buy this beer again.